The experts at Allsafe Cleaning Melbourne are the most professional cleaners in Melbourne. Our many years of experience efficiently addressing our clients’ needs has earned us the solid reputation for professional cleaning service that we enjoy today. Not only are we the most professional cleaners in Melbourne, we are also the most affordable. Our cleaners are one of a kind. 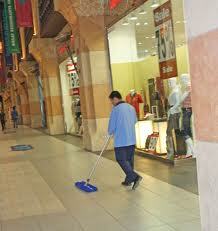 You won’t find any more efficient and friendly house cleaners anywhere. We hire and train only the best, and they are trained the use the most advanced equipment and eco-friendly cleaning solutions to provide you with a level of service that will leave you amazed. We attempt to pair our clients with cleaning crews they can come to know and trust, building a rapport and a bond that can’t be broken. All of our house cleaning crews are expertly trained, vetted and fully insured. We will only send the most trustworthy house cleaners to your home, because your trust is important to us! You can view a full list of services on our pricing page, so that when you call, if you combine cleaning services, you can earn a hefty discount. You can reach our helpful staff 24 hours a day by calling on (03) 9021 6889. Don’t hesitate, call now and lets get to work whipping your home or property into shape today!